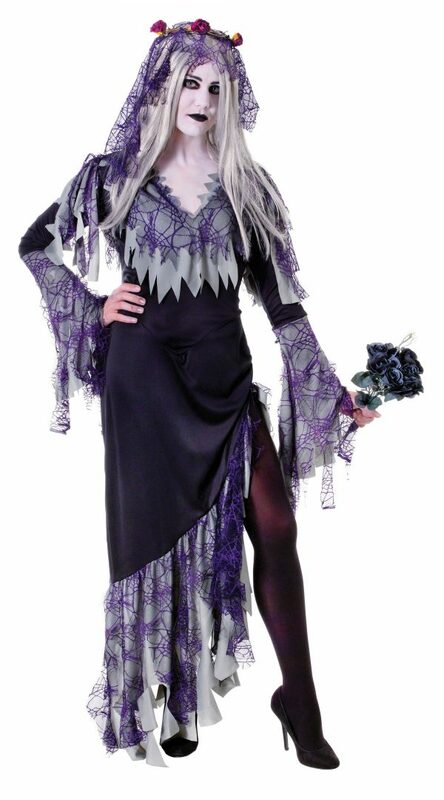 Stretch Fabric dress in black with strip cut grey fabric and purple spider web fabric, stitched around the neck, sleeves and hem. The same spider web fabric is used in the veil which has a ringlet of purple roses. Can fit from a 34 – 38 as it has fabric strips attached to the waist to tie at the back of the dress.